"Spanking Breezes" is a short Mack Sennett comedy. We have included this film in our program to illustrate the work and contributions of our star Alice Day. After her sister Marceline Day left Mack Sennett for feature films, where she shined brilliantly in both comedy and drama, Alice Day became the main star and box-office attraction of Mack Sennett Comedies. She was an extremely popular and very much liked comedienne. Unfortunately very few of her short comedies survive, so let's enjoy "Spanking Breezes". Alice Day watches her husband talk on the phone in "Spanking Breezes" (1926). Alice Day and Danny O'Shea are surprised to see the whole family on the yacht in "Spanking Breezes" (1926). 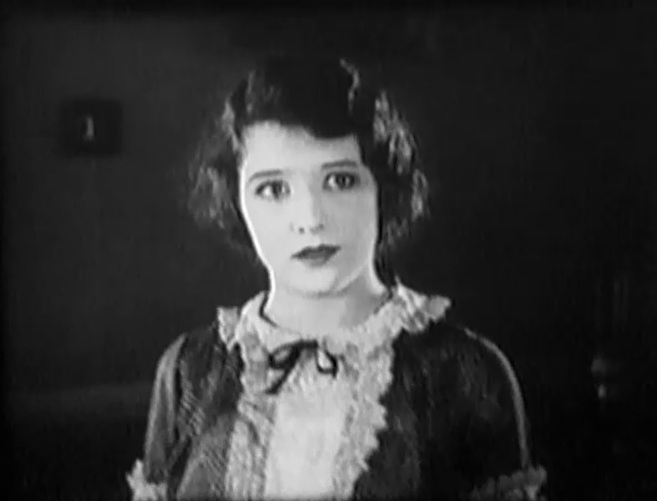 Alice Day is told by Danny O'Shea 'smile and live with it' in "Spanking Breezes" (1926). Alice Day stops a fight between Danny O'Shea and her brother in "Spanking Breezes" (1926). Alice Day notices that Barney Hellum likes his coffee very sweet in "Spanking Breezes" (1926). Alice Day gives Barney Hellum a Buster Keaton solution: pour the coffee into the sugar bowl in "Spanking Breezes" (1926). Alice Day gives Barney Hellum another Buster Keaton solution: bend the teaspoon so that it doesn't poke you in the eye, in "Spanking Breezes" (1926). Alice Day eats spaghetti with a straw in "Spanking Breezes" (1926). Alice Day is amused that all passengers are seasick in "Spanking Breezes" (1926). Alice Day hesitates to eat a sandwich in "Spanking Breezes" (1926). Alice Day hesitates some more in "Spanking Breezes" (1926). Alice Day can't escape the seasickness in "Spanking Breezes" (1926). Alice Day gets more seasick than the rest in "Spanking Breezes" (1926). Alice Day watches another fight between her husband and brother in "Spanking Breezes" (1926).